Already being left behind in mobile game? Sony has only just got out of the starting blocks on its solo quest into the mobile market, but it's already being left behind after it confirmed it won't be launching a quad-core handset until 2013.
to show off their shiny quad-core innards, but Sony is set to stay out of their way this year. Speaking to CNET Asia Stephen Sneeden, Product Marketing Manager for Sony Mobile, highlighted Sony's concern for these next-gen devices: "We're going to join quad-core when we feel that the performance matches the battery efficiency". Sneeden said that Sony is "evaluating the quad-core performance" and that it will enter the quad-core arena in 2013 once it believes it can offer a device "where you're not suffering in quality and the performance truly is there". Sony has made strides into the mobile market with the CES 2012 unveiling of its Xperia S followed by the Xperia U and Xperia P handsets at MWC 2012 – although none are groundbreaking, as they are all stuck with Android Gingerbread and a now standard dual-core processor. 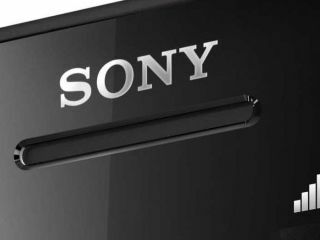 Sony may have to re-think its strategy as 2013 could be too late to play catch-up, especially with the Samsung Galaxy S3 and iPhone 5 on the horizon for later this year.